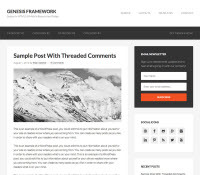 It is the theme we are using on several blogs, it also powers this blog as well. If you are someone like me who is poor in coding, this one will let you create amazing websites just like I did in just 45 minutes. Whether you’re a novice or advanced developer, Genesis provides the secure and search-engine-optimized foundation that takes WordPress to places you never thought it could go. Theme Junkie has over 40 amazing themes to choose from, which means you are going to get the one you were looking for, from a long time. 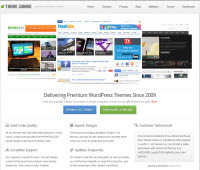 It offers annual membership which lets you use any on their themes. Digital Ocean is a cloud hosting service which uses SSD Hard Drives that was gaining popularity among publishers who want a blazing fast server for their blog. While traditional Hosting Companies charge a premium to offer SSD Hard Drives, Digital Ocean provides SSD by default. Hostgator is world’s leading hosting companies that offers unlimited space gives you 99.99% of uptime and one click WordPress install. Asiogroup.net also hosted on the awesome Hostgator. Use the coupon to get your first month of hosting at just 1 cent. Blue Host is another Hosting Provider which is trusted by many webmaster when it comes to hosting their websites. They also offer one click WordPress installs and a piece of mind that your websites are running smoothly while you work on other important things. Namecheap is another registrar which you can trust to register a domain name with, they are a tough competition to GoDaddy and are always against the aggressive sales practices of GoDaddy which tries to sell every product they offer. 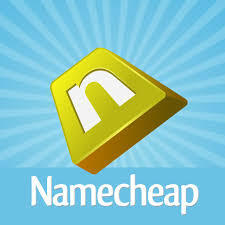 Namecheap simply lets you register domain name you want to register, nothing else. Problogger Community is created by Darren Rowse, the original Problogger, his 10 year old blog, Problogger.net has got a really passionate community who are keen to learn new things. So, learn from the experts and also get exclusive deals on products offered by Problogger himself. I have been using Namecheap since last few months and I faced an issue where my websites are getting too frequent downtime, but it was quickly resolved when I talked to the support. It has been said that customer support is their plus point, there is a little problem with downtime but maybe it’s just me who faced this. 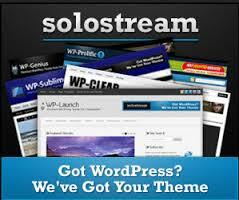 Solo Stream is another WordPress theme provider that I have been recommending to all the people, both online and offline. 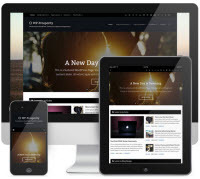 It offers a few but high quality WordPress themes which focus on showcasing the content of the blog. It’s clearly one of my favourite themes. Max CDN is a Content Delivery Network, which will make you understand what the CDN stands for. Max CDN is a service for those who have a global audience and they feel they need to optimize their blog’s speed for every visitor who lands on the site from any part of the world. Godaddy usually sells a .com domain in a range of $10-$11. But using a promotional code, you can register it for as low as $1.99 for first year. Renewal charges are almost same for all the domain names. 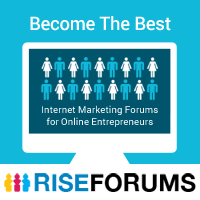 At Rise Forums you get a chance to communicate with some of the finest bloggers in the world and learn from their experience. If you are into full time blogging, you must join this forum.